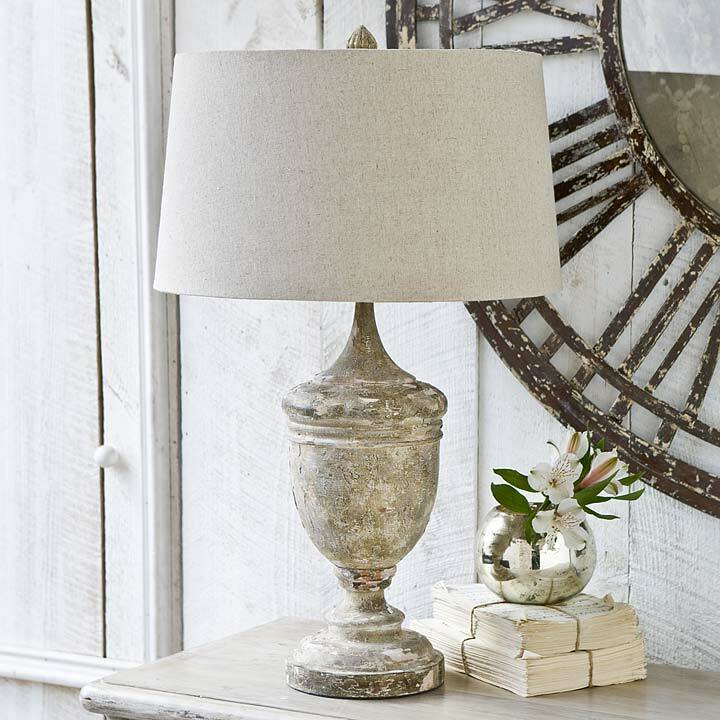 This gesso wood vase table lamp base offers a rustic accent in a living room or bedroom. Its carved, weathered base is topped with a neutral oatmeal drum shade. Lamp measures 18"diameter x 29"H.